Fancy something a little more lively? Look no further than Combat Archery! Shoot, duck, dodge, dive and catch those arrows to eliminate your opponents! 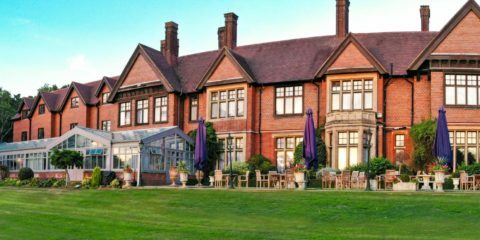 Nestled in the Surrey Countryside, Stanhill Court combines comfort, tranquillity and convenience. 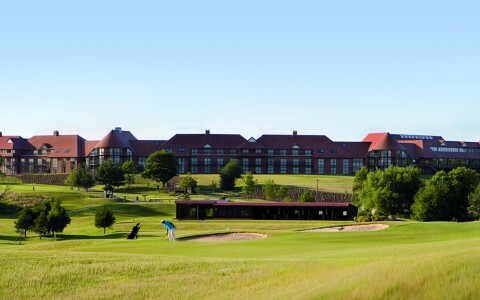 It’s easy to forget you are only 4 miles from London Gatwick Airport and links to the M25 motorway. Batak Pro is an incredibly addictive game that tests people’s reactions to the limit whilst drawing a crowd for those wanting to have a go! Perfect for Corporate Events, Exhibitions, Trade Shows and much much more! New suggested venue – Gildings Barns! 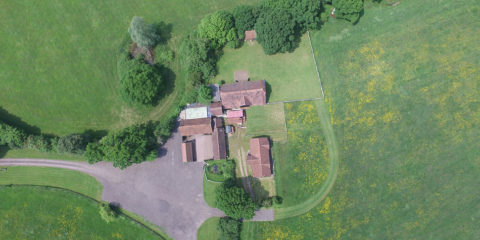 Gildings Barns offers a unique setting for conferences and team building days. Our onsite event management team work closely with you to plan your bespoke event. Part-Time staff required for our 2019 season! Altitude Events are now looking for part-time event staff and freelance activity instructors to join the team in preparation for the start of the Summer season. Want to test your abilities on something different? Fancy a go at testing yourself on something two-wheeled that isn’t a motorbike?! Segways are a hugely popular activity and demonstrate the possible type of vehicle of the future! 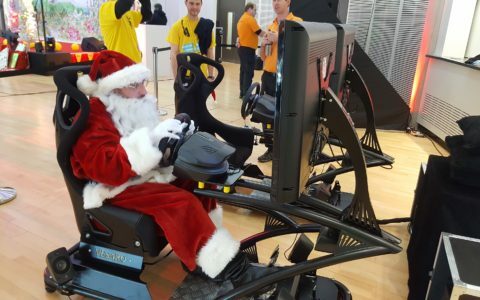 Altitude Events has its Christmas Present: BRAND NEW ACTIVITIES for 2019! Take a look now! Get a head start for 2019! Christmas has not arrived yet, but 2019 is already filling up! Year on year we are getting enquiries earlier and earlier, and we don’t want you to miss out. Get in contact now for 2019 dates! You want your special day to be truly special. So have you thought about the entertainment for your guests? We have, and we have some crackers too! 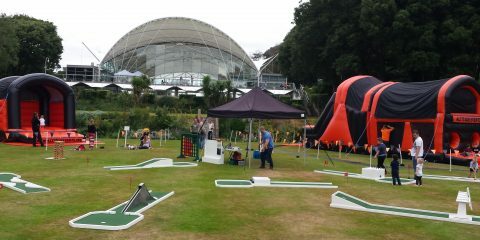 From Crazy Golf to a Magic Selfie Mirror, make your day one to remember! Snow is falling…all around us…well not yet, but Christmas is around the corner! As the Summer, and October Heat Wave, come to an end, leaves start to fall and nights get shorter which means…CHRISTMAS IS NEARLY HERE! 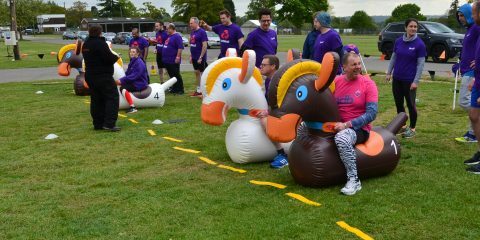 Get out of the office with our popular It’s A Knockout packages! 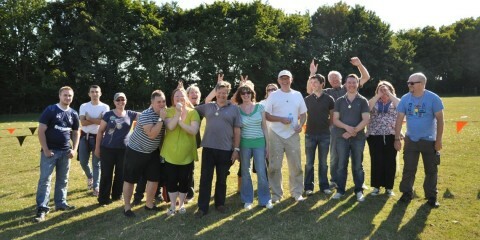 Want to take your team out of the office and into a different environment? Want to work on communication and teamwork with a competitive edge to it? 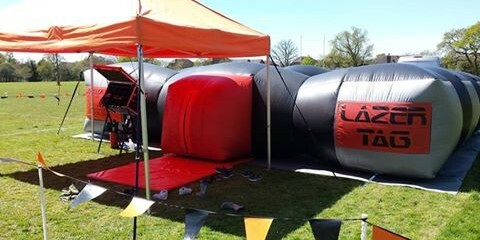 Get out and about with our ‘It’s a Knockout’ packages! It’s not you, it’s not even us, it’s GDPR…! From the 25th May 2018, due to the new General Data Protection Regulations (GDPR), if you would like to receive news from Altitude Events of New Activities, Promotions, Booking Reminders etc. relevant to you, then you need to opt-in! 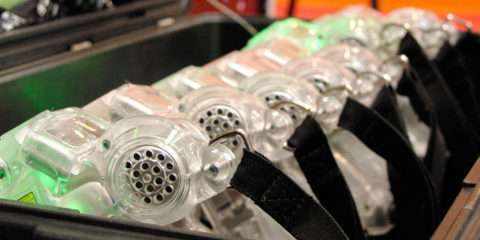 New Laser Tag Gun System now live! Our Laser Tag Guns have had an upgrade! And what an upgrade! Our all-new top-of-the-range Laser Tag Gun System is now ready for you to hire. Check out our new 12-player Laser Tag now! 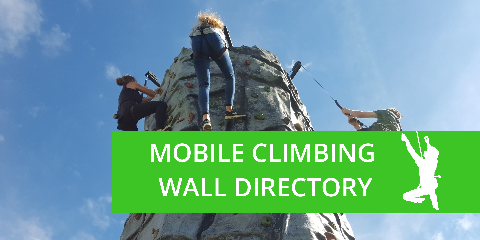 We are listed on the Mobile Climbing Wall Directory! 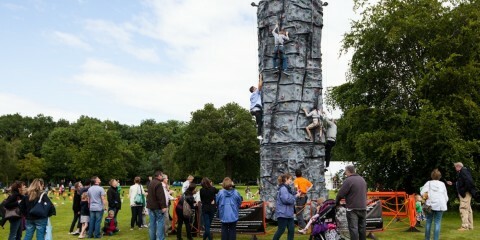 Altitude Events Ltd are proud to be listed on the Mobile Climbing Wall Directory. After an update to the site, we are pleased to say that one of the longest running companies offering Mobile Rock Climbing Wall Hire and Rockwall Rentals in the Southeast is now listed! Russia 2018 Football World Cup is coming…is it coming home?! This June and July, Russia hosts the Football World Cup and if you can’t actually make it to Russia (work eh?!) then Altitude Events has everything you need to make your footballing event stand out from the crowd here in your very own space here in the South East of England! WOW…What a Christmas! Here’s to 2018! Here’s to you 2017…but let’s make 2018 even better! Key Summer Dates are already filling fast and what a lot of sport we have coming up this year to theme events around! 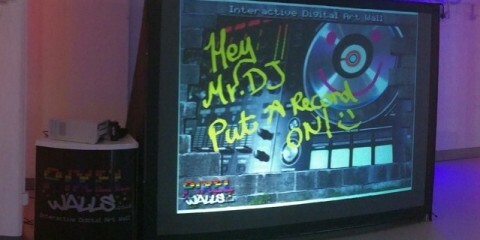 Fancy playing some all time classics? Street Fighter, Bomberman? FROGGER?!!! 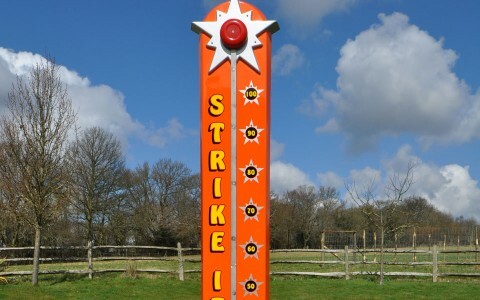 Then take a look at our Retro Arcade Games Machines for thrills, spills and the ultimate trip down nostalgia lane! 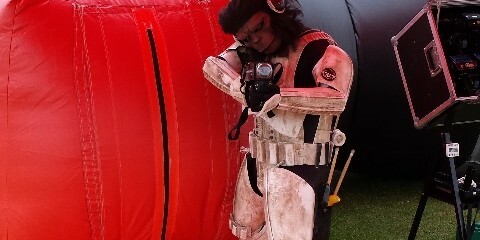 Get kitted up, prepare yourself and enter another dimension with our hugely popular Mobile Laser Tag! Providing fun for all ages, take on your friends, family and colleagues in the ultimate laser combat battle! 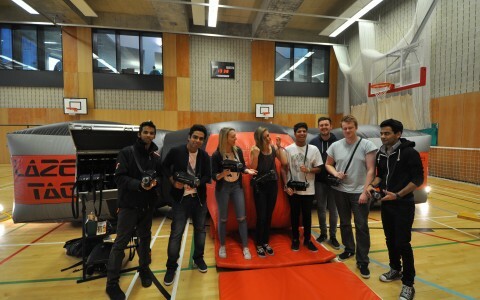 Sometimes referred to as Pulsar, Quasar, Laser Bug and Laser Storm, Laser Tag is a fantastic non-contact game for suitable for everyone 6 years and over. Make your marketing and promotional offer stand out! Catching the eye of potential clients and standing out against the crowd can be a hard task. Everyone vying for attention and you need to make that visual impact to draw people in. Altitude Events can help! ‘Tis the season to be jolly! Book your Christmas Party 2017 entertainment now! Soon the great British summer of sun (and mostly rain) ends. With that Christmas 2017 is thrust upon us! Here at Altitude, we are already taking those all-important bookings for activities at your Christmas event. Be it a private or corporate party, we have something for every age, budget and venue! The new Academic Year is not that far away! Yes, we know the holidays haven’t started yet but it is time to look beyond them as the new school, college and university terms will start to approach quicker than you think! Here at Altitude Events Ltd we are looking forward to helping you welcome new students (and staff!) this September! Go fast or go home with Altitude’s Powerturn Buggies! 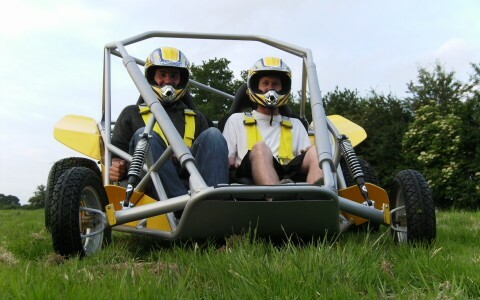 Jump into one of our twin-engined twin-seater off road Powerturn buggies, which are fantastic fun for both drivers and spectators alike providing endless stories and laughter! 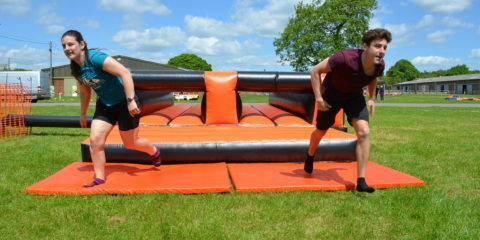 Jump into our It’s A Knockout and Wacky Olympics packages! 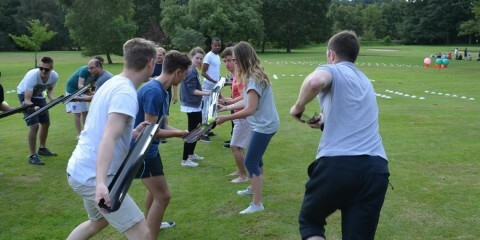 Take your team out of the office for a day with our ‘It’s a Knockout’ or ‘Wacky Olympics’ packages! With such a vast array of activities included and tailored specific to your event, there is something for everyone! Combat Archery has arrived at Altitude Events Ltd! Combat Archery, also known as Battlezone Archery or Archery Tag, has arrived at Altitude Events Ltd for Summer 2017! Take Archery up a level as you split into teams and take aim at each other in this fun and exciting new challenge! Like living in the fast lane? Then our Giant Scalextric is perfect for you! 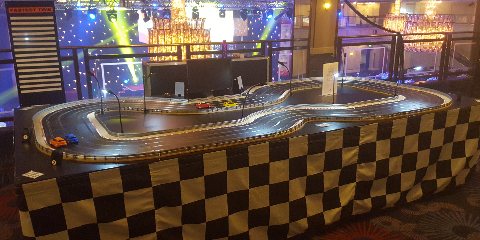 Race up to 4 players at any one time around our fast circuit! Speed down the straights and take the corners as you want as you take part in a race to the finish line! Will you cross it first? 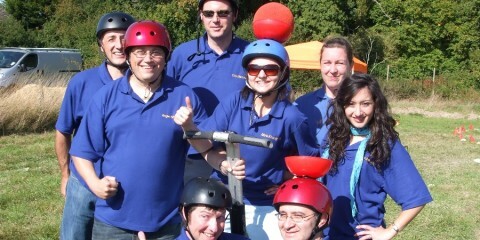 Want to join Altitude Events Ltd? We are hiring! 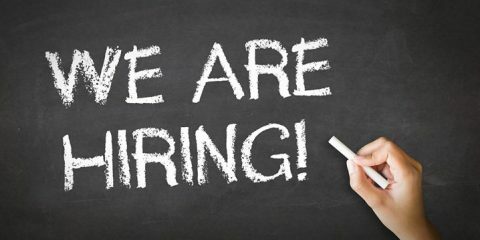 We are looking for part-time event staff and activity instructors to help cover our busy Summer season. We are also looking for a new full-time member of staff on a 6-month contract initially with potential to extend at a later date. Inflatable Activities from Altitude Events! 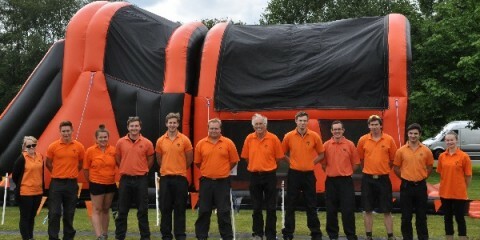 Here at Altitude Events we have a huge range of Inflatable Activities for you to hire! 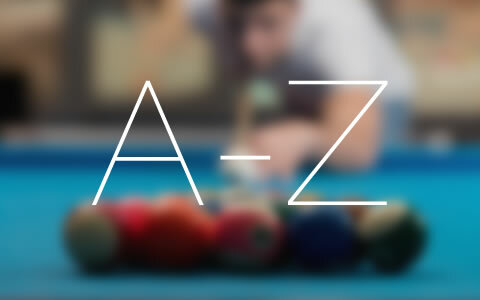 From 10-player Human Table Football to a 2-lane Bungee Run, there is something for everyone to enjoy across a whole spectrum of sports and events! Jump into the drivers seat with Altitude’s Motorised Activities! 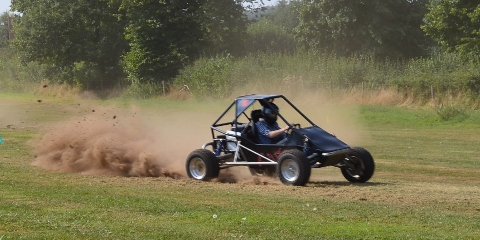 Ever fancied jumping into the drivers’ seat of an off-road buggy? Or how about taking a spin around some of Monaco’s famous streets in a Rally car? Or just wondered what it was like driving with your eyes closed?! 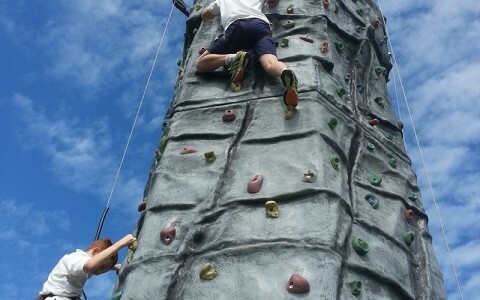 Scale new heights with Altitude’s Mobile Climbing Wall! Want to try something a little different at your next event? How about something eye-catching and exciting? Over the last few years, Rock Climbing has become one of the fastest-growing sports in the UK. Want something a little different? 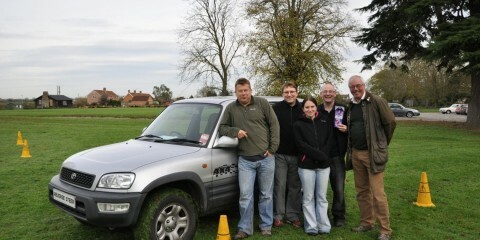 Try one of our Country Pursuits! 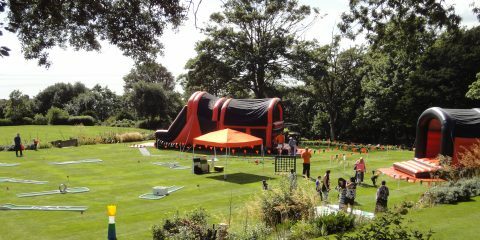 Fancy trying something a little different at your event? Take a look at Altitude’s Country Pursuits! 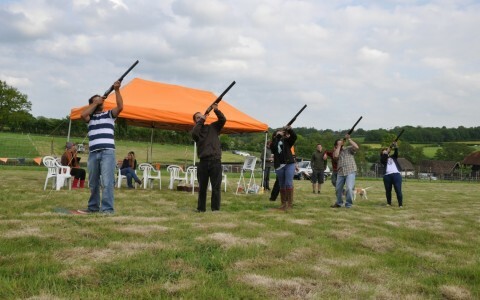 Whether it’ll be Archery, Laser Clay Pigeon Shooting, Duck Herding or something indoors, we have it covered! Bye bye Christmas, hello Summer 2017! Here at Altitude Events Ltd we don’t stop. Having our busiest year ever in 2016 was a blast and our events over the Christmas and into New Year period were nothing short of superb and we are now thoroughly looking forward to what 2017 has for us and our clients. Look at what’s NEW with our Magic Selfie Mirror upgrade! YES! That’s right! Our Magic Selfie Mirror has been given an upgrade for the Festive season and beyond! 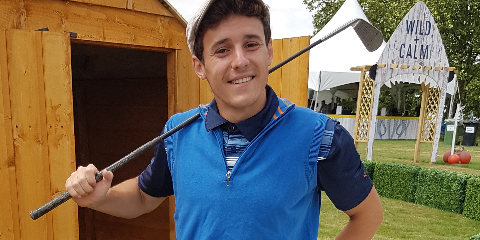 A new addition to Altitude Events Ltd ever-growing range of activities this year, it has already been given an upgrade to enhance the experience it offers! Make your Birthday Party the talk of the town with Altitude Events! Whether it is a Birthday Party for a 13 or 30 year-old, here at Altitude Events we have activities to make that party extra special! Ranging from our Inflatable Mobile Laser Tag to a spot of Laser Clay Pigeon Shooting, why not indulge in some competitive and fun activities on your special day! From Corporate Events to Weddings, Evening Do’s to Exhibitions; our Reaction Test Games not only draw in the crowds and get people involved, but they are fun, good to play (and watch!) and extremely addictive! Both Strike-A-Light and Batak Pro are crowd favourites! Christmas is fast approaching and what better time to start thinking about what to have as the *STAR* activity to get everyone excited! 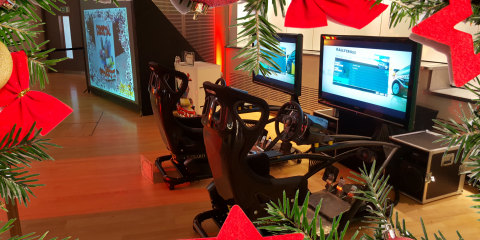 Jump into our race seats and power your way to the top of the leaderboard with our Multiplayer Race Simulators! Christmas 2016 is soon to be here! Have you booked your entertainment yet?! Summer flies by so quickly and before you know it Christmas will be here! We all go from BBQs and picnics to Christmas lunches and parties! 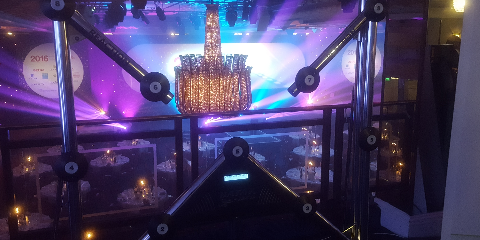 Why not let Altitude Events take care of your Christmas entertainment?! Start thinking about the new School, College and University terms now! Whilst the holidays are yet to start, it is time to look beyond them as the new school, college and university terms will start to approach at a pace and we are looking forward to welcoming new students (and staff!) this September and beyond! Shopping Centre Promotions hit the spot! This year has seen a huge rise in Shopping Centre Promotions that we have attended and what a hit they have been! From external suppliers to the shopping centres themselves, we have been out and about with a range of our equipment engaging with shoppers! Go High Speed with Altitude’s Motorised Activities! After that adrenaline rush? Want something different and high octane? Then take a look at Altitude’s Motorised Activities! 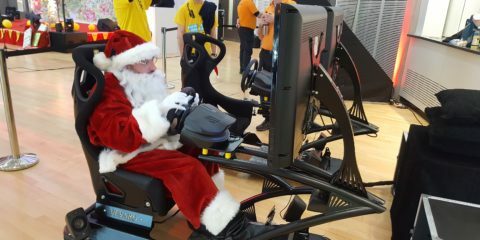 From Segways to RAGE buggies and Giant Scalextric to Race Simulators, we are sure to have something to suit your event! Hold your Corporate Event with Altitude! Thinking of holding an event for your business? Having an employee activity day, staff enrichment day or reward day? 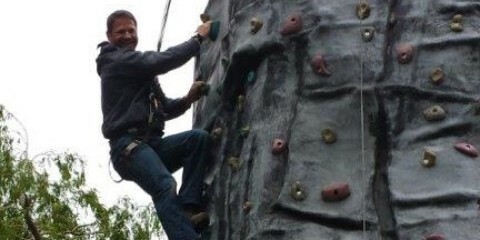 Altitude can provide activities for every eventuality to make your event perfect! Spend Summer 2016 with Altitude! A busy May Bank Holiday Weekend is over, and for once the sun shined on us all the way through! We have had fantastic feedback from a range of events that we attended including Scout and Guide Camps, Village Fetes, Private Parties and Weddings! School Activity Days by Altitude Events! 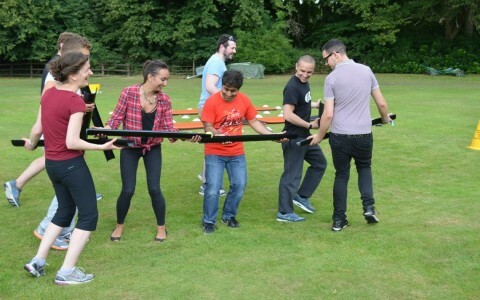 Are you looking to work on Team Building for students? Or maybe wanting to reward students or have an Enrichment Day? 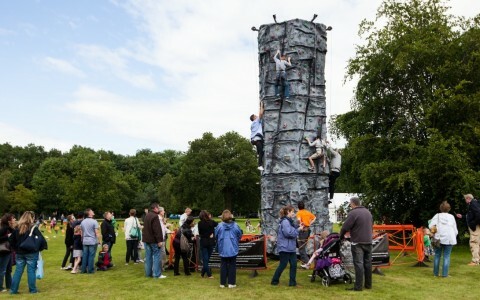 Altitude Events Ltd can provide a variety of activities tailored to suit your needs and budget. Calling all venues in Kent, Surrey and Sussex! 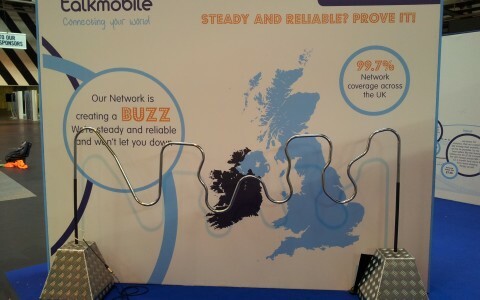 Being the premier provider of MOBILE activities in the South-East means that we bring our activities to you! From a Climbing Wall, Inflatables and Crazy Golf to Giant Scalextric, Reaction Test and Pub Games; our range is extensive and we can cater for all ages. Did you spend hours watching The Crystal Maze or Noel’s House Party and thought you’d do better grabbing all those flying tokens? 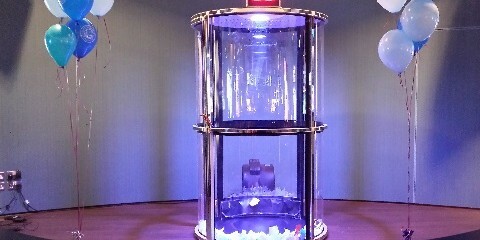 Now you can put your money where your mouth is with Altitude’s very own Grab a Grand Cash Grabber! Summer is fast approaching and up and down the country School’s and Village’s are preparing Fete’s and Shows for the local community. Have you thought about yours yet? Thinking of a Rio Olympics themed event?! Summer 2016 sees the return of the Summer Olympics and a first appearance in Rio, Brazil. Running from August 5th to August 21st, it is time to start thinking about your Rio Olympics themed event! Summer 2016: Join the team! Altitude Events are now looking for part time event staff and freelance activity instructors to join the team in preparation for the start of the Summer season. Euro 2016 is just around the corner! That’s right, Euro 2016 is fast approaching and if you can’t actually make it to France then Altitude Events has everything you need to make your footballing event stand out from the crowd here in the South East! Magic Selfie Mirror now available to hire! Only a few weeks into 2016 and here at Altitude Events we have already gone and got ourselves a new bit of kit! Introducing a fun alternative to the photobooth….the Magic Selfie Mirror! On Tuesday morning we were very rudely awakened by our alarm clocks going off at 4am! 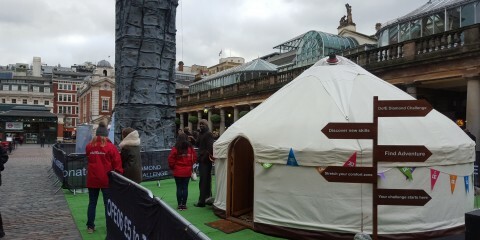 Our Mobile Climbing Wall was going to Covent Garden, London for the launch of the Diamond Challenge from the Duke of Edinburgh Scheme which is celebrating its 60th anniversary in 2016! Happy New Year Offer from Altitude Events! Here at Altitude Events we hoped you enjoyed the festive season and are looking forward to 2016. Ever wanted to sit in a Race Seat? Feel the adrenaline as you speed through the streets of Monaco or around the Top Gear Test Track? Get your name to the top of that leaderboard? Now you can with Altitude Events’ Multiplayer Racing Simulators. Reach Top Speed with Altitude’s Motorised Activities! 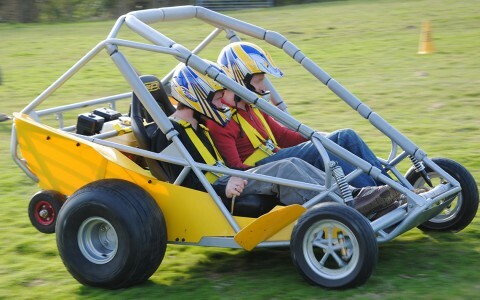 Want to feel the adrenaline rush on our Rage Buggies? Go off-roading with our Max Kat Amphibious Vehicles? 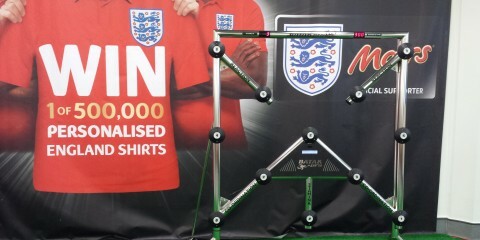 Or even test your reactions with our Batak Pro light reaction game (as used by F1 drivers! ), then Altitude has something for you! 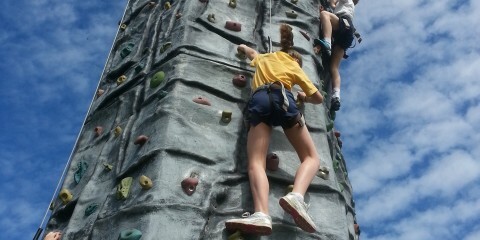 No.1 for Scout and Guide Camp Activities! Here at Altitude Events we cater for all types of event! During the year we visit many Scout and Guide camps and provide a whole range of activities for all to participate and enjoy! It’s good to see everyone get stuck in from Cubs/Brownies to all the Leaders! Looking to reward your students? Want to work on Team Building? Having an Enrichment Day? 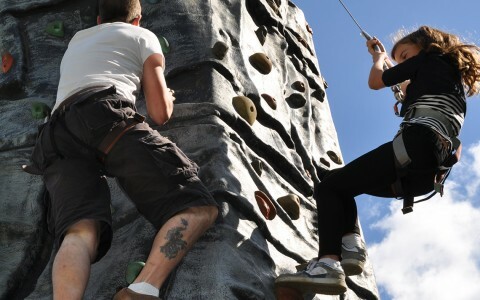 Altitude Events can provide a variety of activities tailored to suit your needs and budget. Its not too late to book activities for your Christmas Party! Yes it is almost that time of year again and here at Altitude Events it looks to be the season of goodwill all over town! But don’t worry if you have not booked your Christmas party yet as there is still time to spice up your event with some of our activities! Planning a Wedding and after some activity ideas? Planning a special day and looking for something different? 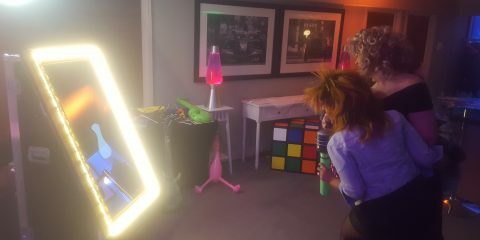 Or maybe something to keep guests entertained? Altitude Events have a wide range of activities that are perfect to make your special day truly special! Thinking of hosting a Themed Party or Event? 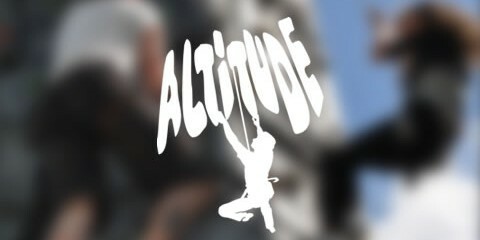 Here at Altitude Events all our activities can be used to fit a theme chosen by you. Whether you are hosting a Beach Party, James Bond Evening or even something Medical then we can supply activities to suit! 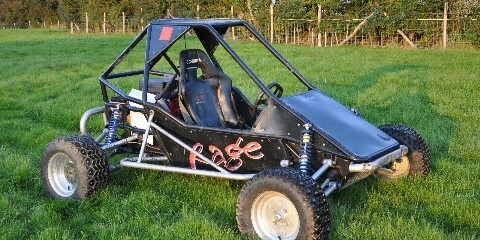 Rage Buggies and Max Kats now available for hire! Altitude Events now have two new motorised activities available to hire; Rage Off-Road Buggies and Max Kat Amphibious Vehicles! Book your Christmas Party 2015 activities with Altitude Events! It’s not even the end of Summer yet but Winter 2015 will soon be upon us! Bookings are coming in thick and fast and we thought we’d share with you some of our top activities to make your Christmas Party the one to go to! Want something different at your Wedding Reception or Party? How about a lasting memory of your day? 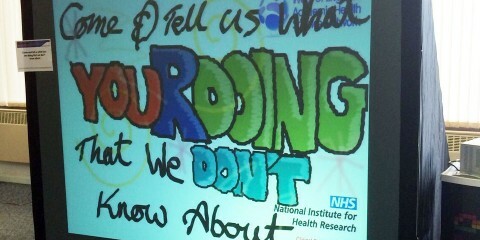 Then Altitude Events have a NEW Digital Graffiti Wall available to hire! Back to School and Freshers Welcome 2015! Whether you want students to engage, interact or just get to know each other; here at Altitude we can provide activities that not only encourage teamwork and communication, but also promote friendship, application fun! Ever seen these two wheeled machines and fancied giving them a try? Want to test your abilities on something different? Here at Altitude, we were the first company to hire these motorised vehicles in the UK. Want something different, challenging yet still provide loads of fun, excitement and rewards? 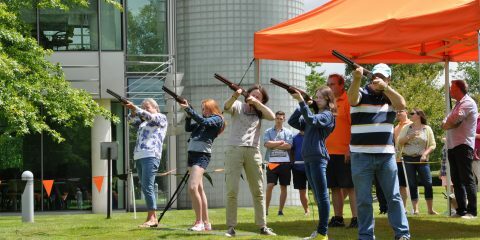 Then Laser Clay Pigeon Shooting from Altitude Events is perfect for you! 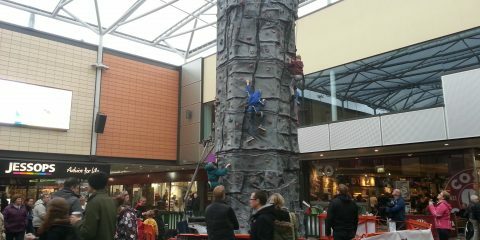 Altitude’s Top 5 Activities for Exhibitions! Planning or attending an Exhibition? Want something different to make your stand or stall stand out from the rest? Want to make a real visual impact or maybe allow clients win prizes whilst with you? 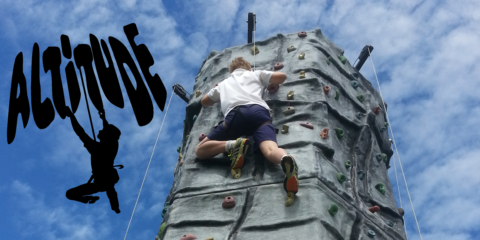 Altitude’s Top 5 Activities for your School Fete! Planning a school fete this spring/summer? Stressful trying to find the right equipment, right insurance and the right provider? Look no further than Altitude Events! 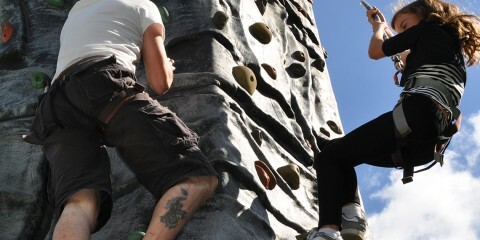 Altitude Events are one of the longest running Portable Rockwall hire companies in the Southeast! Gold medallist boxer Anthony Joshua and FCUK enter the ring with Altitude’s Wii hire! 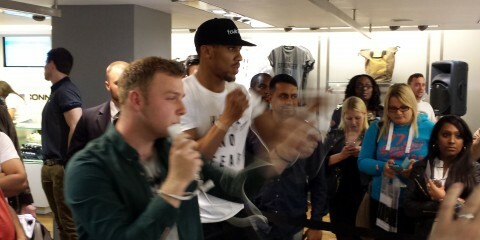 Anthony Joshua and FCUK take on guests with Altitude’s Wii boxing! 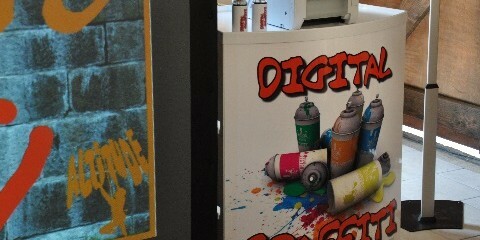 FOCUS ON: Digital Graffiti Wall! 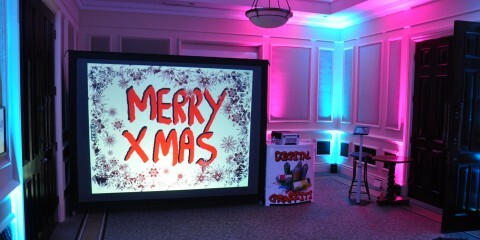 Altitude Events have a BRAND NEW Digital Graffiti Wall for hire, providing something different for your event! 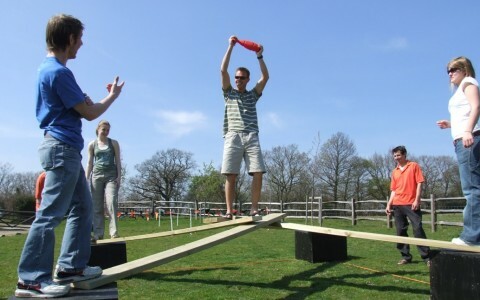 What a start for our BRAND NEW Pub Games package, tailor-made to your own event specific needs! 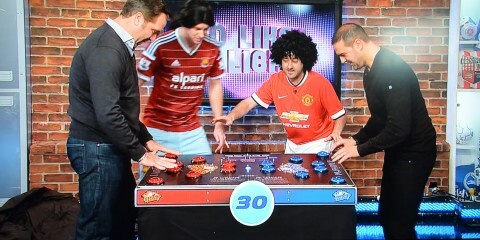 Altitude Events on Soccer AM! Dates are filling up fast already for Summer 2015! Call or email now to book your event! Drumroll please… the new website is here! We are pleased to launch Altitude Events brand new website!